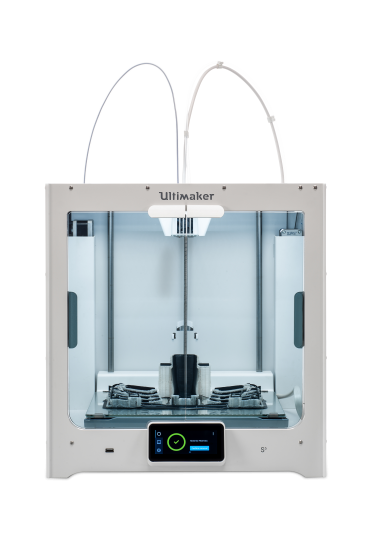 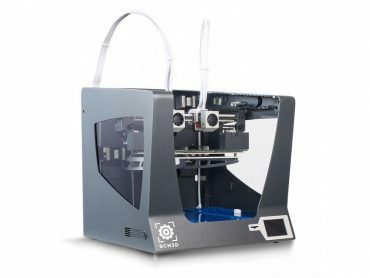 The Ultimaker 3 is an entirely new, industrial-grade large format 3D printer designed from the ground up by Ultimaker. 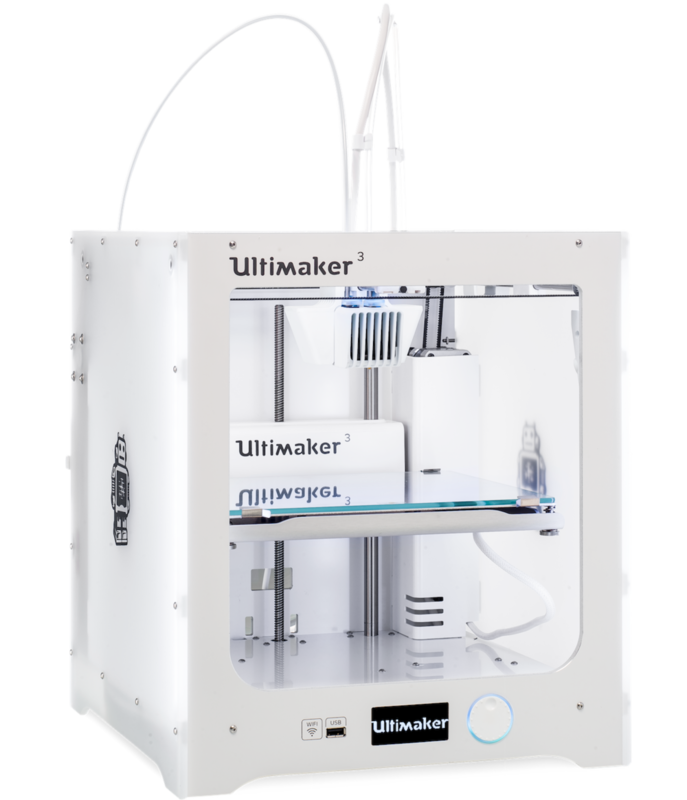 Innovations in Ultimaker 3 result in true design and build freedom. 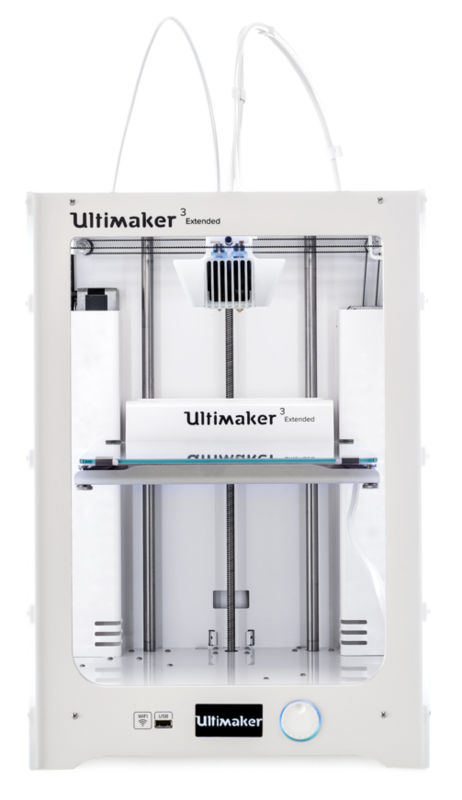 And, the Ultimaker 3 allows complex geometries and mixed materials, all with minimal user intervention. 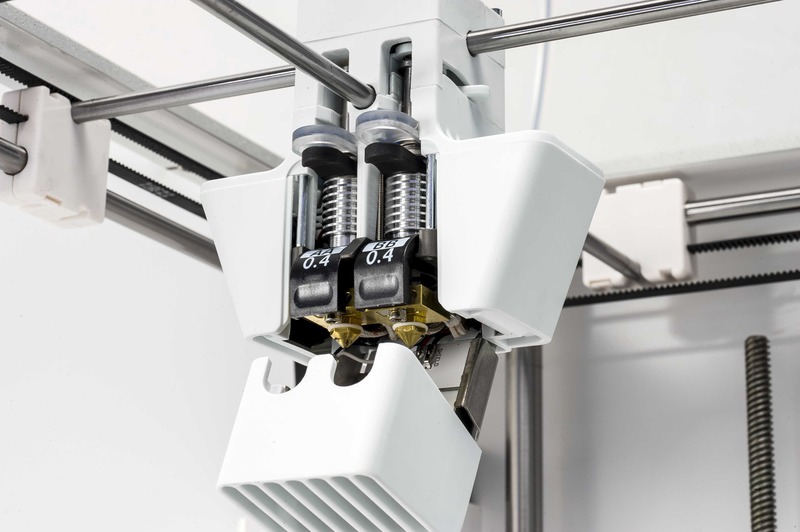 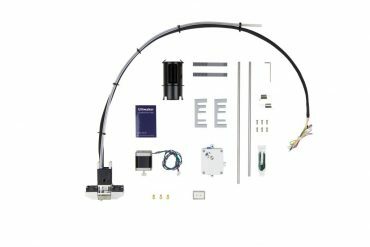 A completely redesigned extrusion system allows sophisticated dual material printing. 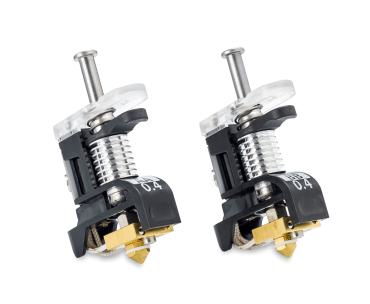 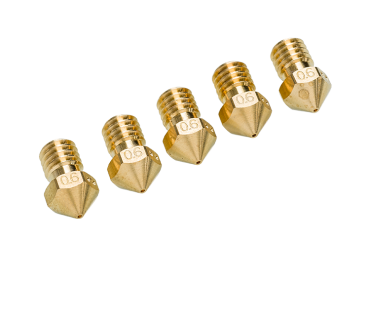 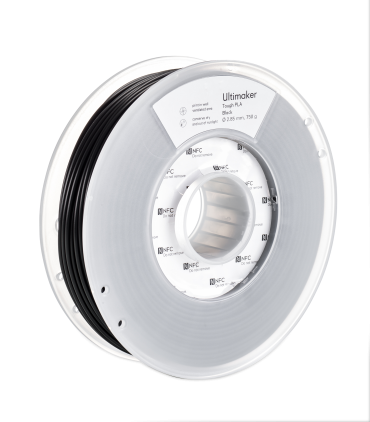 The Ultimaker 3 goes beyond simple dual-extrusion with swappable print cores (within each extruder) that best performance based for each material being used, and an innovative industrial design that moves the unused nozzle out of the way during printing. 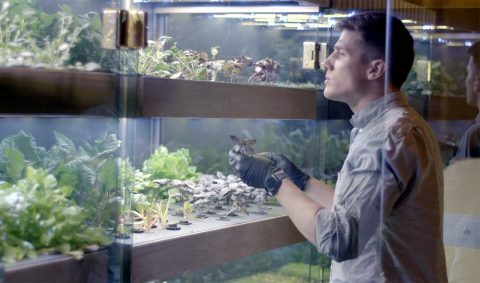 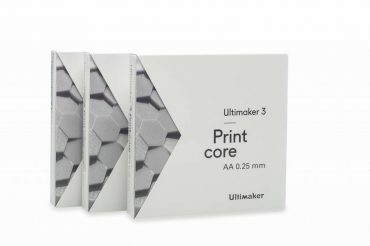 All aspects of the print, from the specific print core, to the material being used, are automatically recognized by the Ultimaker 3’s software (Cura), which prints at optimal settings for any scenario. 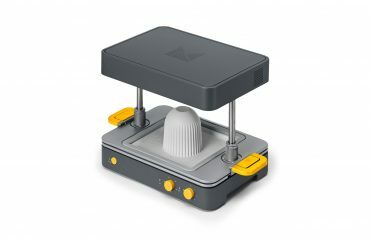 You can combine build and water-soluble support materials to achieve superior surface finish and complex geometries with ease. 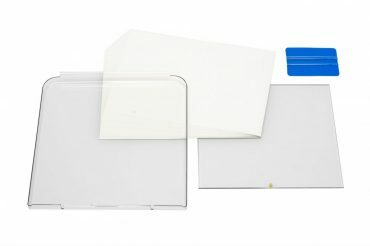 Or, use multiple colors to create a unique look without the need for paint. 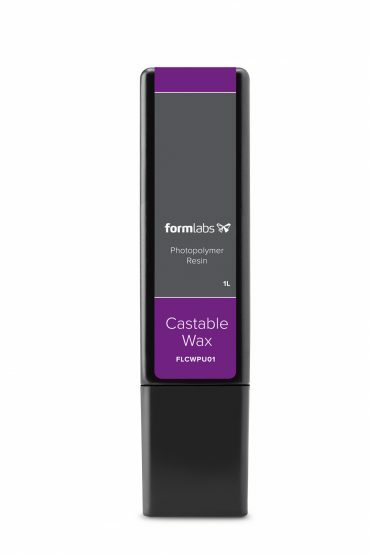 The print core system allows for faster material swaps and a greater ease of use. 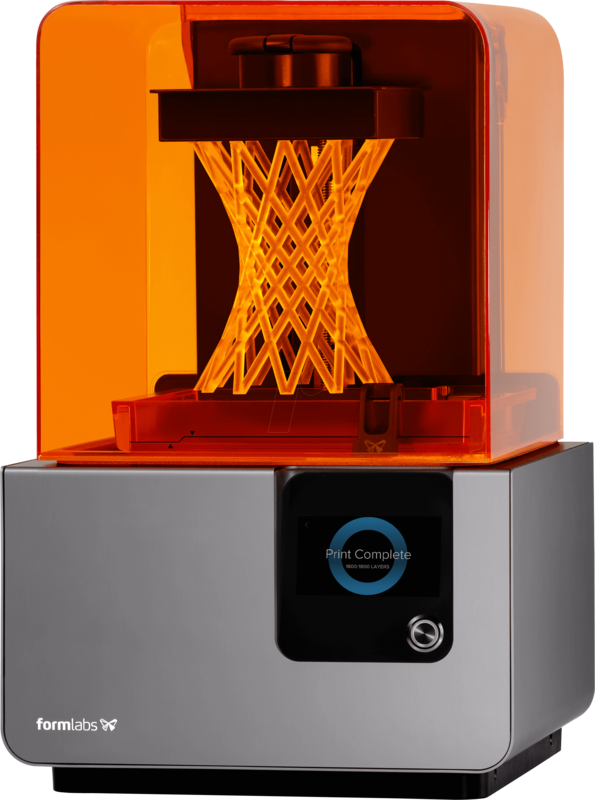 And the print core’s customized internal geometry allows for cores optimized for both build and support material. 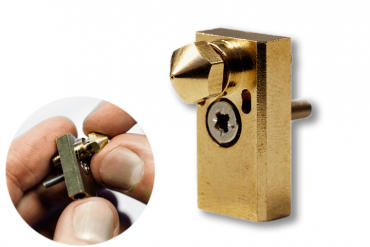 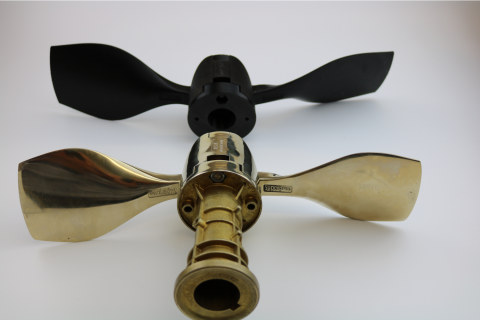 This redesign allows for fewer clogs and greater reliability. 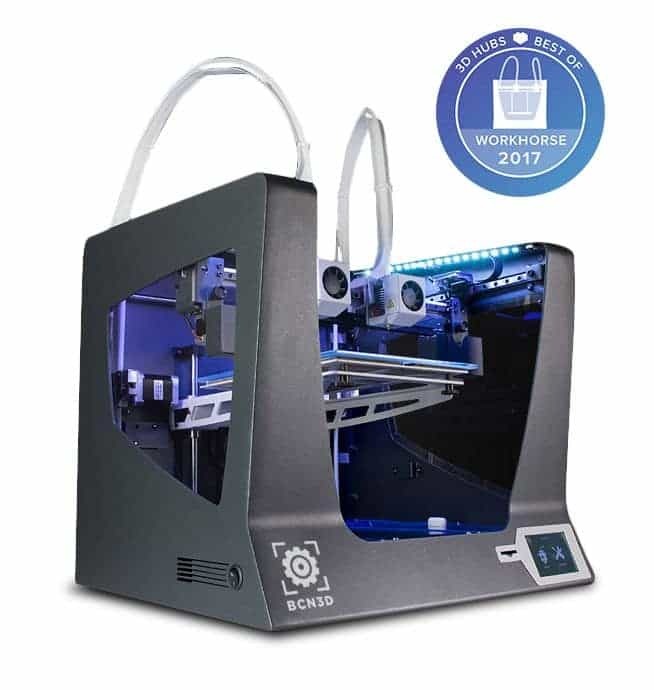 Spend more time printing! 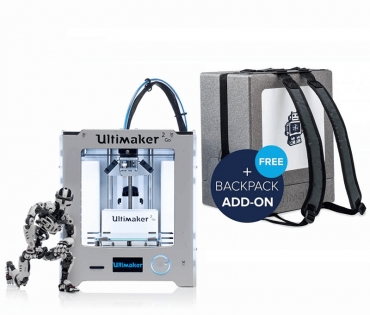 It’s a new printer that’s built on Ultimaker’s considerable experience. 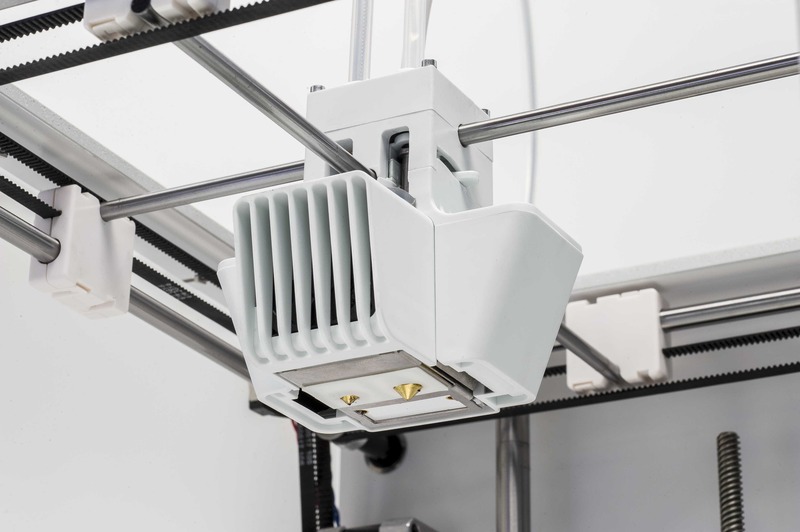 The cooling system has been optimized for greater efficiency: increased cooling, decreased noise. 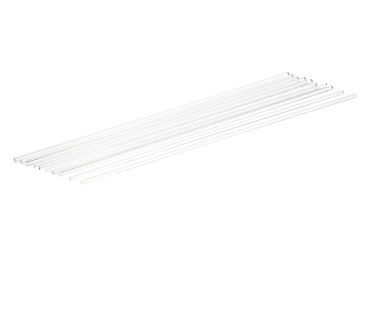 LED indicators on the swappable cores indicate potential issues and alert the user that intervention may be necessary. 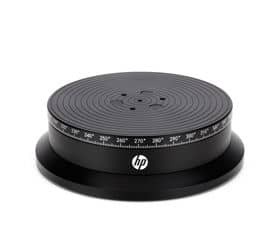 New NFC-enhanced material spools tell the printer what you’re planning to build with, and extensively tested and optimized materials profiles in the software (Cura) make automatic settings adjustments to allow for a more consistent and high-quality result. 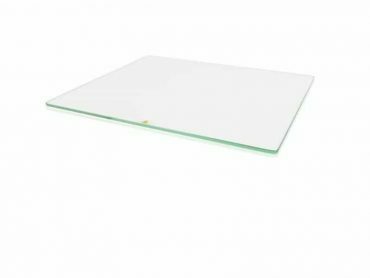 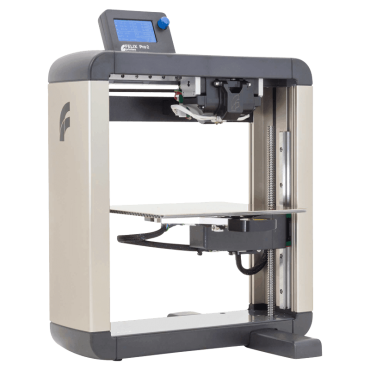 A redesigned build platform features several improvements: it’s lighter and stiffer; reducing vibrations and improving print quality. 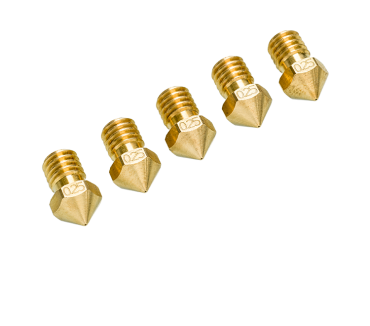 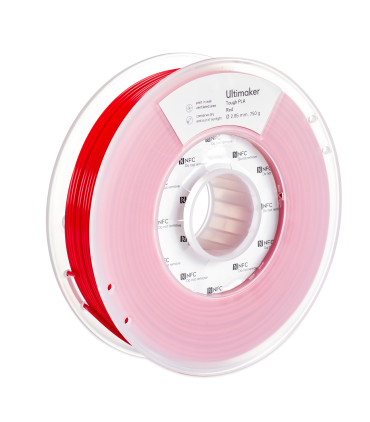 An active assisted-leveling system allows for minute Z-adjustments in the first ten layers of your build, creating the best base for your print and helping to ensure success all the way up. 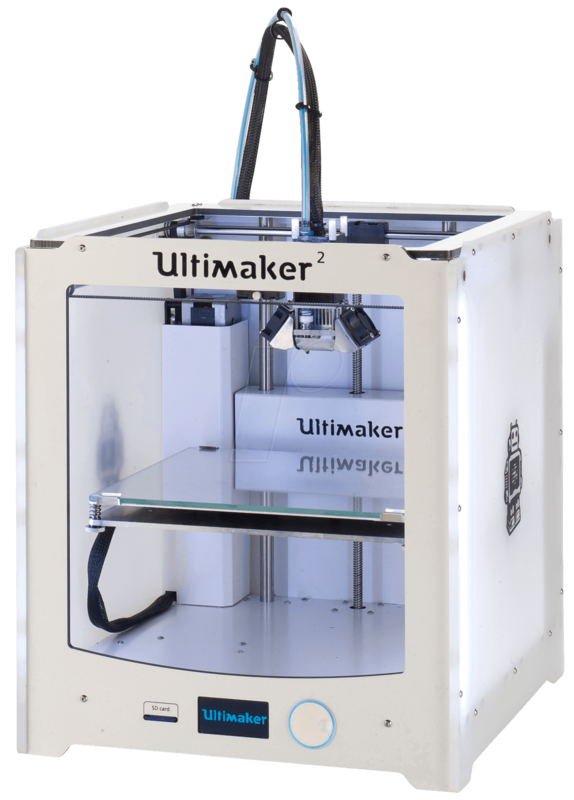 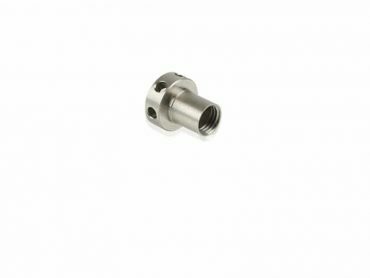 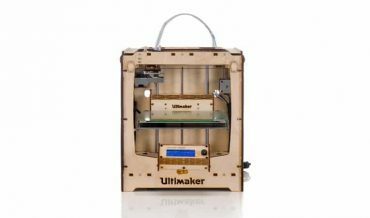 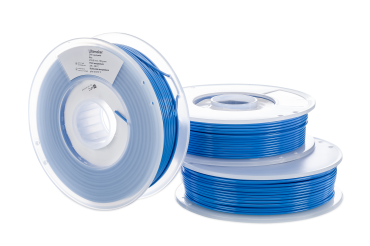 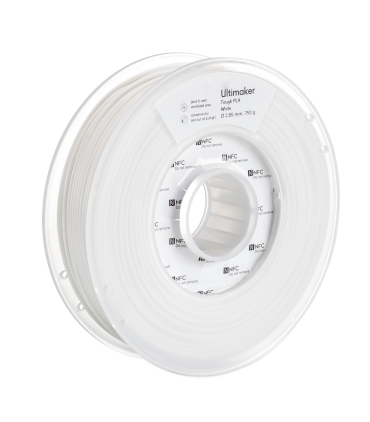 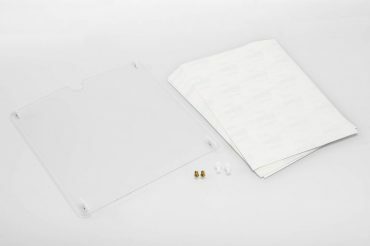 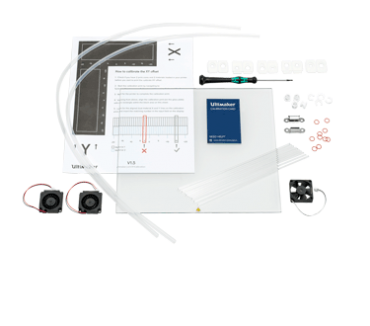 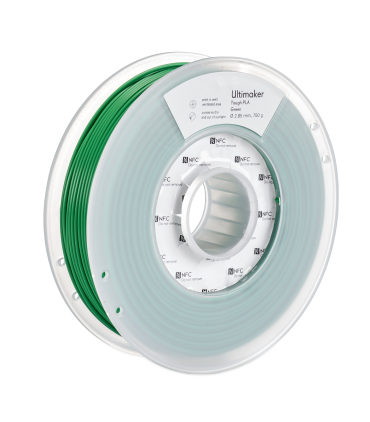 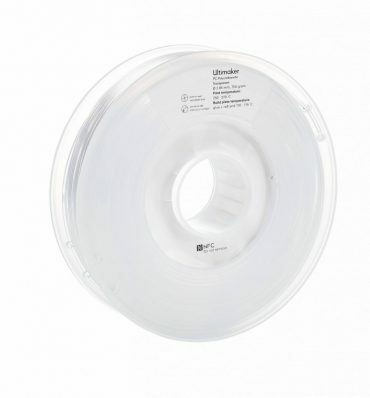 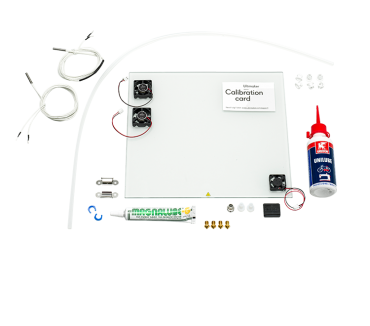 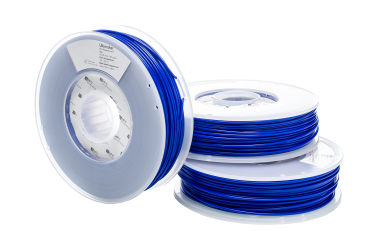 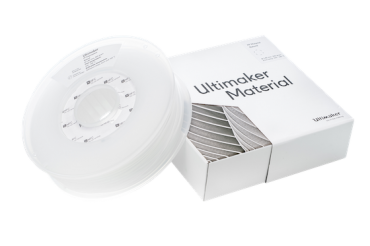 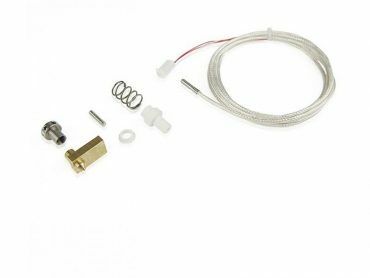 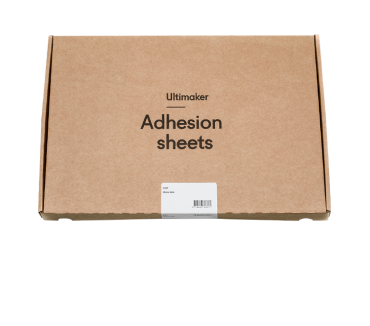 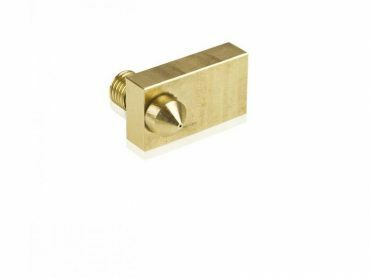 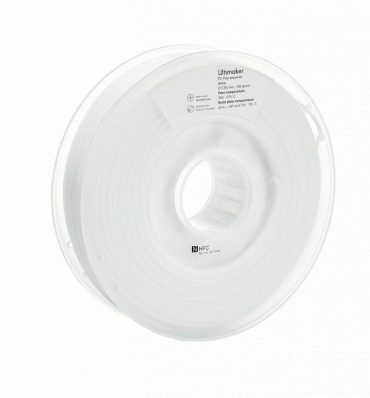 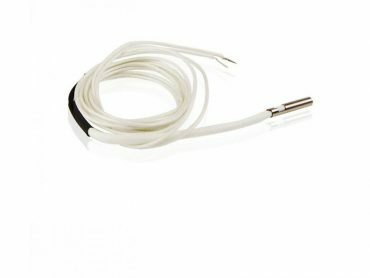 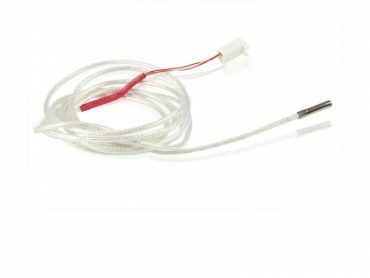 A wide range of materials are available from Ultimaker, allowing you to select what’s best for your application. 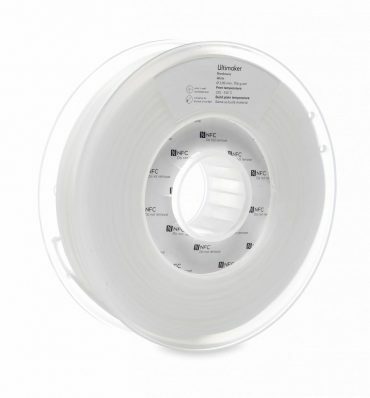 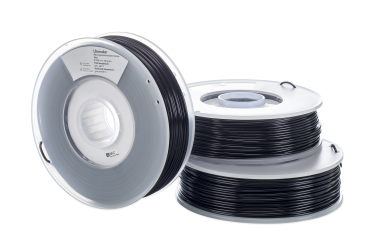 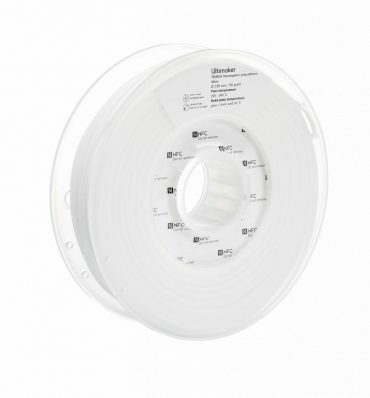 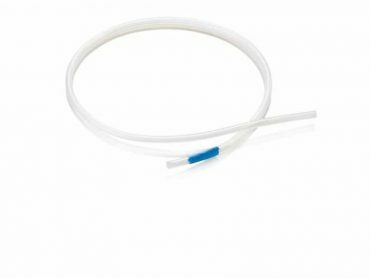 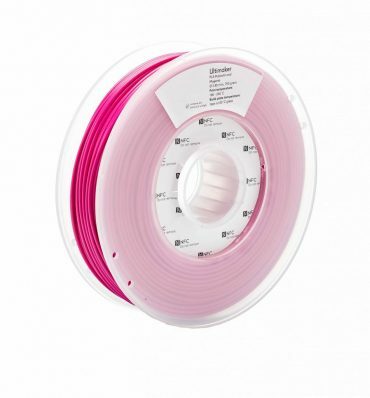 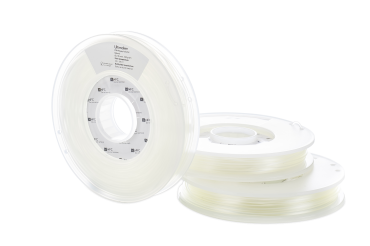 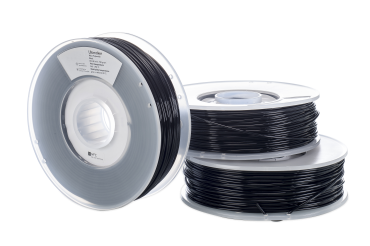 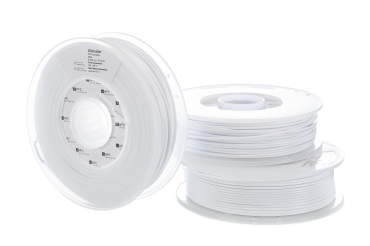 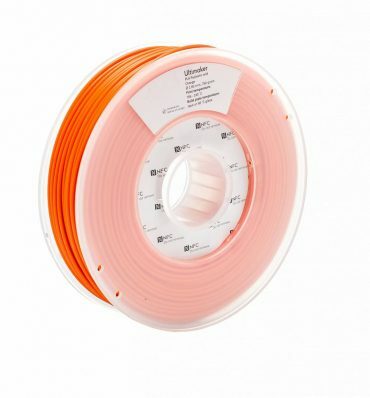 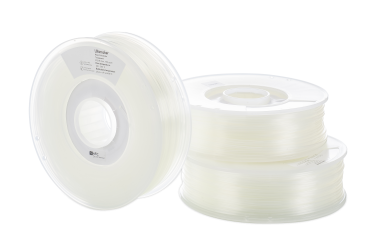 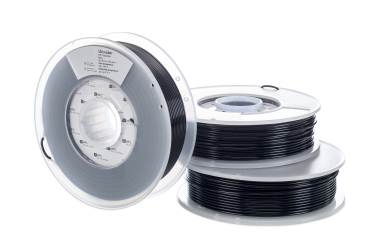 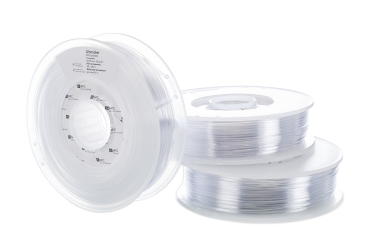 Nylon, PLA, ABS, CPE, CPE+, Polycarbonate, TPU95A, and Polypropylene are all options for build material, while Breakaway and PVA are options for support material. 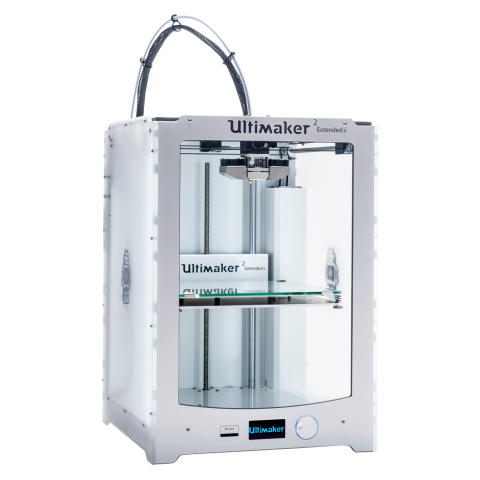 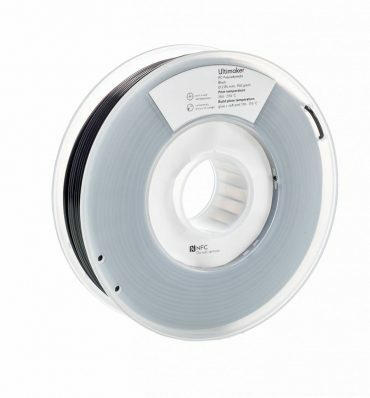 Communicate with your Ultimaker 3 via wifi or LAN, or use the USB port to print from the included 16gb USB stick. 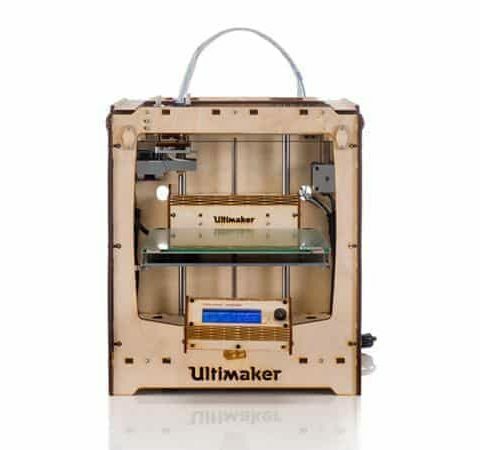 (Note that direct printing from computer to printer via USB is not supported). 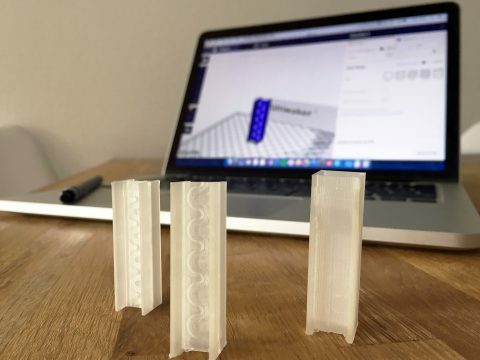 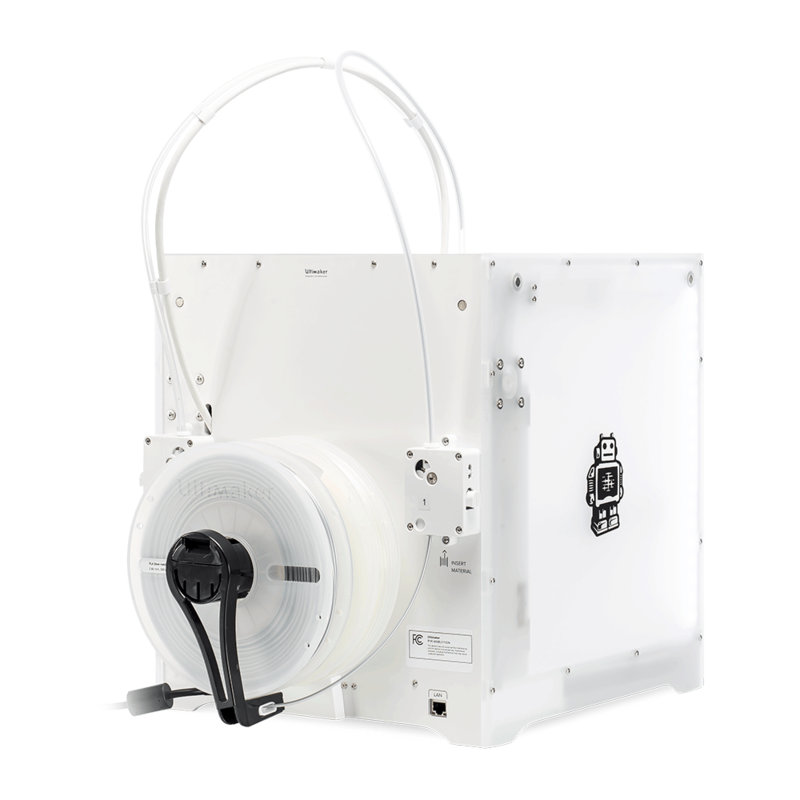 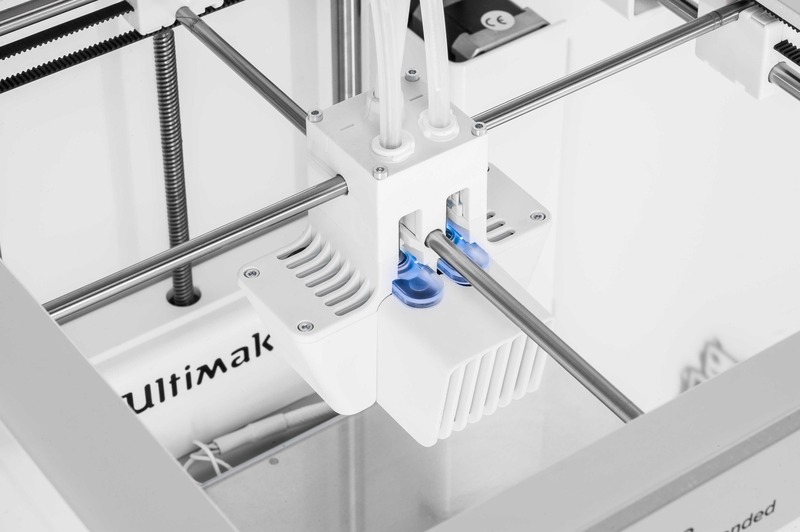 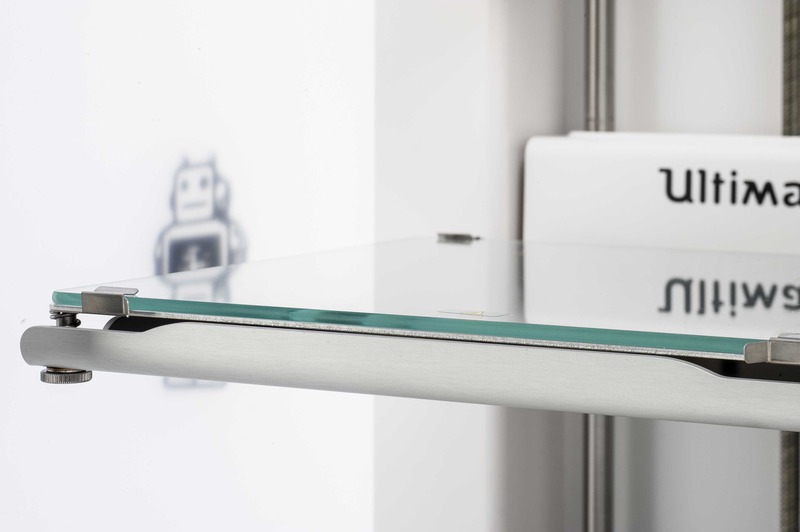 And, monitor the ongoing print using the integrated live camera simply by connecting your Ultimaker 3 to your network.